Do you want to stay in your home as you age? Are you concerned about your parents’ safety in their home? Tim St. Hilaire of Custom Property Solutions is a Certified Aging-in-Place Specialist ready to help you make your home or your parents’ home safer. We provide peace of mind! 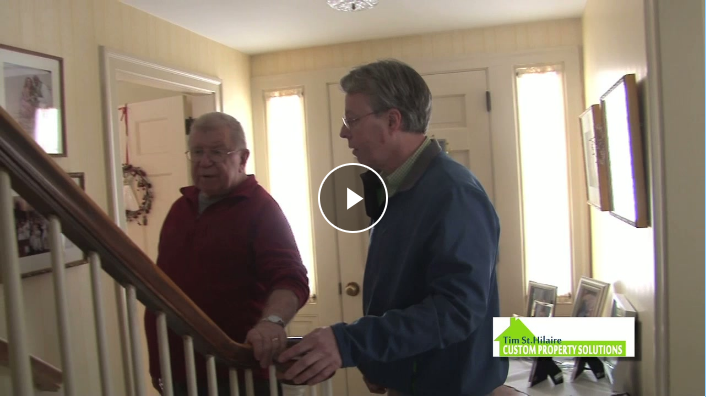 ​As an experienced remodeler, we now concentrate on helping you or your parents enjoy an age-friendly home. We have so many ways to make living safer and easier in our homes today. Let us do a thorough assessment to determine what safety hazards can be eliminated. Whether you need a simple handrail or a stair lift or ramp, we can do it all. We can make your mind rest easy and extend the time you can stay in your own beloved home! We come to you whether you live in Brunswick, Scarborough, Portland, Biddeford, Kennebunk or elsewhere along the Maine coast. Give us a call or an email today! Do you want to stay in your home as long as possible? Or are you concerned about your parents' safety and well-being as they age? We will go into the home and do a full assessment and provide recommendations for making it safer and more comfortable for the aging senior. Call 207.632.5228 or email us today to schedule a Home Assessment. ​Tips for Your Age-Friendly Home and More!